My furry writing partner, Maggie, was just a spur of the moment addition to the family. Before I could do any research into her breed my children had fallen in love with her and it was too late. Thankfully, she fit in perfectly with our family. But as pet owners, veterinarians, and particularly workers at your local animal shelter will tell you, it’s important to determine if a future furry family member will fit your family’s lifestyle, budget, even house. 101 Publishing is launching a new series called How to Be Your Dog’s Best Friend with veterinarian Lorie Huston penning the first book in the series. She introduces readers to the Labrador Retriever breed tackling everything from breed history to training to health issues and more. Labrador Retrievers: How to Be Your Dog’s Best Friend is available in e-format at Amazon. 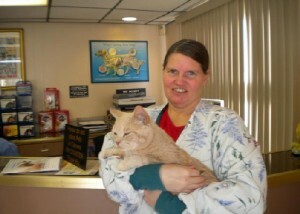 Lorie Huston, DVM is a small animal veterinarian with over 20 years experience with dogs and cats. She is also a freelance writer and blogger. 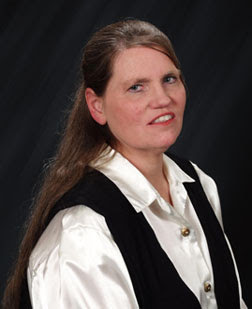 Lorie attended the Iowa State University College of Veterinary Medicine, graduating in 1986 as a Doctor of Veterinary Medicine. Prior to that, she attended the University of Nebraska, where she received a Bachelor of Science. Lorie currently practices veterinary medicine in Rhode Island. She cares for both dogs and cats and enjoys interacting with pet owners and their pets. Surgery is her favorite part of the business day. Lorie shares her home with six beautiful cats, all of which were rescued, or had been abandoned at the hospital where she works: Lilly, Midge, Rusty, Dillon, Rhette, and Merlin. 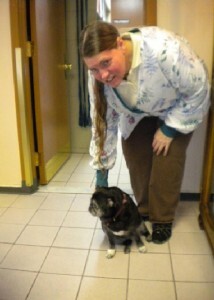 Though Lorie loves dogs as well, she feels that bringing a dog into the household would be unfair to Lilly. Lilly lost a leg, part of her tail, and several toes after being mauled by a dog when she was a kitten. She has lived with Lorie since that time and is currently happy, healthy, and not at all bothered by the fact that she has only three legs. As a result, as long as Lilly is with Lorie, her family will remain entirely feline. WOW: As a veterinarian, you wrote Labrador Retrievers: How to Be Your Dog's Best Friend as an expert. Is this your first experiencing writing as an expert? If not, when and for what types of markets did you begin writing about animal care? What made you decide to write a full fledged book? LORIE: No, this is definitely not my first experience writing as an expert. I have been writing for several years now, both online and offline. I have been published as an expert in publications such as FIDO Friendly, Pet Sitter's USA, and in various newsletters and other publications. I have my own blog, Pet Health Care Gazette, in which I offer pet care tips, advice and information. In fact, Pet Health Care Gazette has just been nominated as a finalist for Best Pet Blog in the Petties Pet Blogging competition. I also publish a weekly cat column for PetMD.com on the Daily Vet blog. I have written for numerous online magazines and content sites as well, including Suite101.com, Examiner.com and About.com. I have also written guest posts for many different websites and blogs. WOW: So as a writer and veterinarian with so much experience under your writing belt, you could have written on numerous topics. What made you choose Labrador Retrievers? LORIE: The idea was developed with the help of my publisher. We knew that breed specific books do well in terms of sales and we chose Labrador Retrievers because they are currently the most popular breed in the United States (according to AKC statistics.) 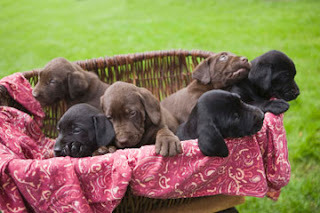 The Labrador book is one of a series of breed specific books about dogs. WOW: A great example of doing your market research before you begin writing! So, since you have such a high profile online, did your publisher come to you first with the idea for a book? Though I have been purposely building an online platform for some time now with the idea of publishing a book at some point, I had not previously considered a breed specific topic. But I jumped at the chance when the publisher did contact me and I instantly realized they were offering a valuable opportunity. After the initial contact, I spoke with the publisher regarding what they were looking for and together we worked out a table of contents for the book. From there, the book itself took form. WOW: You faced a situation that most nonfiction writers confront . . . your book would not be the only one about your topic. What went into the planning of your book so it was unique? LORIE: In planning the book, I tried to think about the common questions and concerns that new (and sometimes not so new) pet owners in my veterinary practice encounter. I also considered what I, as a veterinarian, would prefer that all new pet owners know. Those considerations became the backbone of the book. 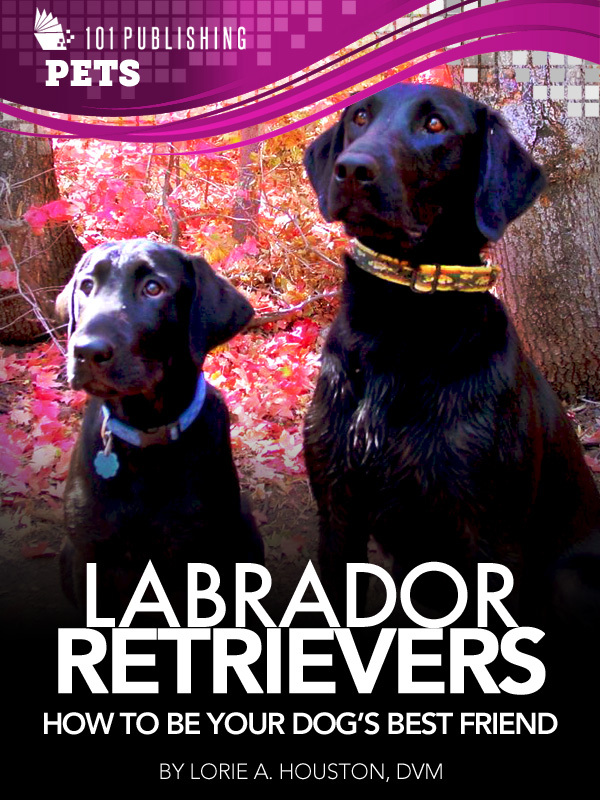 WOW: Labrador Retrievers: How to Be Your Dog's Best Friend is under 75 pages. Do you feel writing as a blogger influenced the length of your book or did you simply feel this was a more suitable length for the subject matter? LORIE: In discussing the book with the publisher, we decided we wanted to produce a book that was packed with useful information and facts but which was easy to read. We didn't want the book to be overwhelming in its length. 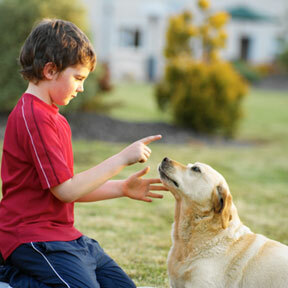 It is meant to be an introduction to the Labrador Retriever breed in specific and to basic dog care in general. So, I guess the answer to your question is that we felt roughly 50 pages was a suitable length for the subject matter, although the length was also influenced somewhat by the content I felt was necessary to be included in this type of book. The book actually ended up being slightly longer than we initially intended. WOW: As an expert author, you have many marketing opportunities available beyond book stores. Will you be taking advantage of these options of any of these marketing opportunities? LORIE: Because the book, at least at the current time, is in digital form only, it will be sold through online venues only. However, we will be reaching out to the online community, particularly the blogging community, through a virtual book tour. We will be reaching out to the pet blogging community in particular (some of which are veterinarians or veterinary practices) but also to other blogs/websites that routinely feature book reviews and/or giveaways. We will also be promoting the book through social media channels such as Facebook, Twitter, Pinterest, etc. WOW: Are you already working on another book or idea? Can you tell us a little about your next project? LORIE: Yes and no. I have several other ideas in mind for book topics but plans are still in a very preliminary stage right now. It's possible, though not definite, that my next venture may be cat related. 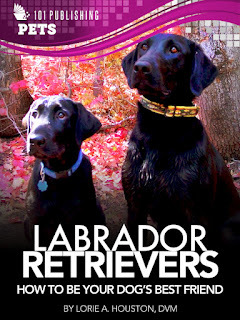 Enter the Rafflecopter form below for a chance to win a copy of Labrador Retrievers: How to Be Your Dog's Best Friend. A dog trainer and animal artist shares her thoughts about Labrador Retrievers: How to Be Your Dog's Best Friend. Capability Mom hopes to learn more about her Golden Doodle by reading and reviewing Labrador Retrievers: How to Be Your Dog's Best Friend. Stop by Thoughts Fur Paws for a dog lover's thoughts on Labrador Retrievers: How to Be Your Dog’s Best Friend. Thursday, August 9 @ Read These Books and Use Them! Learn how Labrador Retrievers: How to Be Your Dog's Best Friend can help an everyday mom find the best furry pal for her family. It's time for "Dog Days of Summer" at Bookhounds and what better book to review than Labrador Retrievers: How to Be Your Dog's Best Friend? Don't miss it! To view all of our dates, check out our Events Calendar. Jodi--Thanks for the interview. I enjoyed hearing why Lorie's home is only feline-filled. However, since I have a GOLDEN Retriever (they're golden, which means they're better than Labradors)I beg to differ about Labs being the most popular dog breed. Just kidding...It was interesting to hear about some of the choices Lorie had to make. I have a lab and am about to get another. They're wonderful dogs! Interesting to hear about how Lorie is building an online platform. Thanks for the interview! i have a lab mix, she is my best friend! I have a black labrador. I'm in love with my sons lab, I love watching him! My name is Vince Stead and I just got done checking out your site and really liked it. We make dog books in Paperback, Digital and Audio too. You can see them at Fun2ReadBooks and the audio books are very fun to listen to. Thank you very much and I really enjoyed visiting your site! Is there a Writing Process?